On the outside, they are the same big yellow school buses, but their fuel is different. More than 170 buses in Pinellas, Hillsborough, Pasco and Polk counties run on propane. If we needed a wake-up call that relying on one fuel source is risky, it came from our Governor here in Michigan, Rick Snyder this week. We’re setting records! This June will be the largest production month in ROUSH CleanTech’s history. A big part of our success is due to the tours we offer to anyone interested in seeing our quality processes firsthand. When students climbed aboard two new Gorham school buses on May 9, they might have noticed “Fueled by Propane” on decals next to the doors. For Norm Justice, the department’s facilities and transportation director, those little green decals represented the successful culmination of years of study and preparation. ROUSH CleanTech and Blue Bird are proud to partner with Ford Motor Company to offer the 6.8L engine in the propane, gasoline and CNG Vision school buses. Last month, Ford opened their doors to their Windsor Engine Plant so we could take a closer look at just how those engines are made. Members from ROUSH CleanTech, Blue Bird, Yancey Bus Sales and some Georgia-based customers toured Ford’s Windsor Engine Plant. 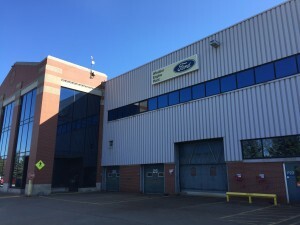 The Ontario, Canada-based plant is a whopping 1.2 million square foot facility, employing more than 2,500 people, and is capable of producing over 1 million engines a year. With such high volume engine production, quality control is a main priority of the plant’s floor managers. The plant’s quality and production teams walked our group through their strict 10-point review process involving lasers, cameras and scanners that check for defects. If a defect is detected, the flagged engine is instantly sent to the repair bay for immediate inspection and correction. Every day, their quality teams do two different periodic jobs observations, giving them an opportunity to fine-tune and improve quality and make adjustments to minimize issues. They’re also instrumental in providing feedback for product improvement efforts, something that is happening constantly to improve customer satisfaction. 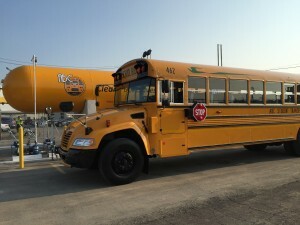 Blue Bird buses equipped with ROUSH CleanTech fuel systems are the only school buses that run on an OEM-produced, high-volume manufactured engine. Last year, Blue Bird’s full year of production of propane Vision buses only accounted for about 2 percent of Ford’s annual build of 6.8L V10 engines. We are currently producing a video highlighting our partnership with the Windsor Engine Plant. If you have stories, information or ideas on what you’d like to learn about the engine, please reach out to Brian Carney. One of the biggest competitive advantages we all have in this business is being tied to a major OEM’s high-volume production lineup of engines and transmissions. Like every major OEM powertrain manufacturer, Ford constantly evaluates opportunities for design, quality and customer satisfaction improvements in their products. Sometimes these changes can be rolled out in the middle of a production year, other times it requires a more coordinated and defined launch. When Ford launched the 2016 model year 6.8L V10 engine, they made some modifications to the engine. These updates to the engine opened an opportunity to make updates to the fuel system. Ford reduced the maximum engine speed and horsepower to improve emissions — while maintaining torque. Ford’s changes to the engine also include a modification of the transmission shift schedule to optimize the new engine speed. In response, ROUSH CleanTech has modified the EconoShift and PowerShift calibrations. The Gen 3 versions of these calibration options offered the possibility of a significant difference in performance and fuel economy. In Gen 4, the difference between the two will be less noticeable, as the engine and shift schedule for the PowerShift calibration is more highly optimized already. The sending unit was moved inboard (instead of outboard) to the top of the tank, with an access panel in the floor of the bus for easy access. The bleeder valve has a new, more convenient location at the bottom of the end-cap, near the manual shut-off. The pre-injector filters in Gen 4 are located outside of the fuel tank (instead of inside), making it easier to replace or service. 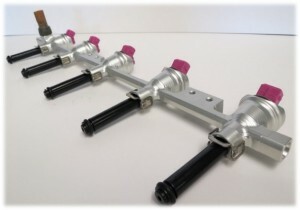 The fuel lines no longer use Jiffy-Tite quick-connect fittings, and the new connections don’t require any special tools to service. The fuel level sender has been re-sourced and re-designed, and will now read fuel levels much more accurately. The 80 percent overfill protection device was moved from the end cap to the top center inside the tank, to provide a more complete fill (even when on a grade) and easier serviceability. The tank pressure temperature sensor now reads the pressure of the tank and rail separately. This update improves diagnostics and helps monitor the overall performance of the fuel system. The flow control solenoid, a tank component, is now part of the return valve to offer better integration into the fuel system. The excess pressure relief valve sits at the bottom of the tank, instead of the top, to further comply with the certain states’ interpretation of NFPA-58. The Gen 4 dual fuel pumps are variable speed and adjust output based on engine need, extending the overall life of the fuel pump. The fuel tank supply solenoid is controlled by the PCM and activates when power is supplied to the fuel pumps. This more robust design consists of an excess flow valve, automatic shut-off valve and a manual shut-off valve. The return valve replaces two check valves found in the Gen 3 system. A back check valve, on/off flow control solenoid and ORB fuel line connection make Gen 4 both simpler and more robust than previous generations. The fuel rail pressure control module is lighter in weight and smaller, with the solenoid count pared down. The module is now mounted to the engine to create a more contained system that reduces vibration between the engine and the FRPCM. The fuel rails are thinner to improve start times by up to 50 percent. The launch of our Gen 4 technology aligns ROUSH CleanTech fuel system components with the latest Ford modifications, and ensures the best experience for our Blue Bird bus customers. It keeps our competitive advantage strong – staying current with Ford’s latest engine technology improvements – while delivering serviceability, reliability and quality improvements for dealers and customers. Last year 35 percent of Holland Bus Company’s total school bus sales were propane. Although we were pretty happy with that number, we knew the market in Michigan was interested enough in diesel alternatives that we could do a lot more. The Ford 6.8L V10 engine and ROUSH CleanTech fuel system have been the major differentiator for us with propane, so when Blue Bird and ROUSH CleanTech introduced the new Blue Bird Gasoline Vision with the same engine, we had an opportunity to even further differentiate ourselves from IC and Thomas. Ford has produced more than 1.3 million of these engines, making it one of the most prevalent commercial-duty engines on the market. All the Blue Bird propane buses sold last year only accounted for about 2 percent of Ford’s annual production. The rest make their way into Ford branded commercial-duty vehicles. This year, our dealership has sold almost exclusively Ford and ROUSH-equipped Blue Bird buses. In fact, one of our school bus specialists this year has sold almost 80 percent of his total buses with a Ford 6.8L V10 engine under the hood. When we meet with school districts in Michigan to talk about diesel buses, they know and we know that diesel engine is the exact same as what our competition is selling. When we offer propane or gasoline, we’re promoting a high-volume OEM powertrain, an excellent engineered alternative fuel system, and the best bus chassis and body on the market. Gasoline has been an excellent addition to the product lineup, providing benefits that accompany the propane product very well. If the district has reservations about the range or fuel availability for propane, we present the gasoline option as a secondary alternative to expensive diesel. Blue Bird is the only major school bus manufacturer offering a Type C gasoline- and propane-powered school bus. One of our most successful sales tactics is offering propane demo buses for the district reps to view and borrow. We find you can’t sell what you don’t show, so we keep anywhere from five to 10 propane-fueled demo buses in stock. At Holland Bus Company, we see the trend continuing away from diesel and toward great alternatives like propane and gasoline. Whether you’re one of the dealers out there that’s been pushing propane since the beginning, or if you’re just now starting to talk to your customers about it, now is the time to make the push and get your school districts thinking about less expensive alternatives to diesel. 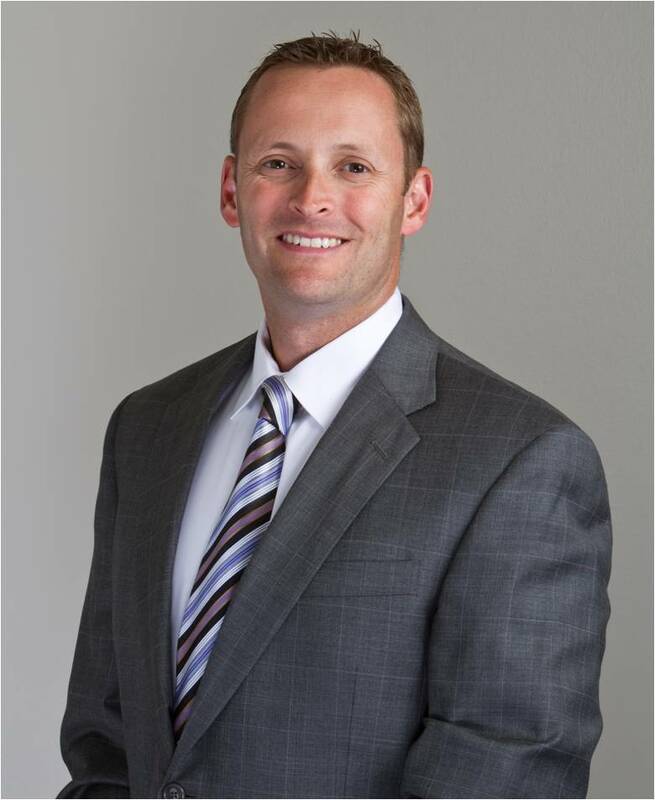 Low diesel prices or not, Roush CleanTech is determined to remain competitive with new product offerings that aim to expand market share for the alt fuel technology company. How can you use ROUSH CleanTech and Blue Bird to help you sell? Let me show you an example. Once a year our salesman would stop in to visit the president of ABC Student Transportation, a local school bus contractor servicing Detroit Public Schools. For the past 20 years he has been loyal to another bus manufacturer. About a year ago we got them interested in the idea of propane by showing the significant operating and maintenance savings they would see by making the switch. We organized a meeting at their facility with representatives from Holland Bus Sales, Blue Bird, and ROUSH CleanTech. We even had one of our Michigan-based customers drive their propane Vision to the meeting to demonstrate the technology (we’d recently sold out of all our demos). We know we have the best bus, best partnership with ROUSH CleanTech / Ford engine, and fuel system. So we sell our propane against the competition’s diesel. We present all the positives of propane versus all the components of diesel engines that have failed. If the parts aren’t there, they can’t fail! Having a team approach with Holland, Blue Bird, ROUSH CleanTech, and a Ford dealer is like going on a group date: you never run out of things to talk about. If I didn’t know the answer, we had the experts there who did. There was no saying, “I don’t know. I’ll get back to you.” You can only say that so many times before your customer doesn’t think you know what you’re talking about. With this unified show of force, we always had an answer to why propane is a differentiator in the school bus market. The experts can answer all questions at the first meeting. 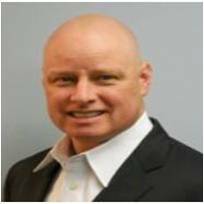 The customer knows that they have a strong team standing behind them during the purchasing process and beyond. Blue Bird and ROUSH CleanTech folks will travel, and will help when you need them to. We like to think of ourselves as a pretty low-key dealer — we don’t need them every day, but they’re available when we do. I appreciate that. Having this team has helped us close many deals, and has made Michigan one of the top markets for total Blue Bird propane customers. If you haven’t invited them to participate in one of your meetings, or to come do some training with your sales staff, give them a call and change that. The Beaverton School District recently purchased 12 new Type C Blue Bird Vision Conventional School Buses. The Oregon district plans to evaluate the performance of each bus over the next four to six months to determine whether to further invest in this technology.